Do Chameleons Make Good Pets? 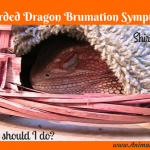 Chameleons are difficult to maintain, and new reptile owners should NOT start with this animal. The word, “Chameleon,” comes from the Greek words, “chamai” and “leon,” meaning “earth lion,” and they originate from the lizard family. Chameleons come in all shapes and sizes, with considerable variation. Their lengths can range from a mere one inch (2.5 cm) to 30 inches (76 cm) long. Chameleons have become popular as exotic pets because of their unique color-changing capability. The purpose of this color change is for communication, and to regulate body temperature. Chameleons have the ability to change colors the same day they hatch. (They may even be capable of doing so while still in the egg.) The color spectrum ranges with variations of green, black, turquoise and blue-green. 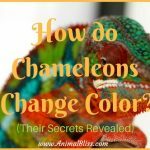 Some colors reveal their emotional levels, such as stress, sense of temperature change, excitement and to communicate with other chameleons. Brighter colors exhibit good mood, while darker colors such as black, gray and brown depict stress. Chameleons have a very long tongue and can stretch their tongue up to one and a half the length of their body. They have five toes on each foot, with three of them facing forward, and 2 facing away from mid-line, helping them get a firm grip while climbing trees and branches. In the wild, chameleons spend most of their lives in treetops. Some chameleons have prehensile tails which also help them get a good grip and help with balance. Chameleons have the ability to rotate their eyes in two different directions, and both eyes are independent of each other. They can rotate their eyes to get a panoramic view. Chameleons are insectivores. In captivity, they eat crickets, dubias, silkworms, hornworms, flies, and more. A few species also supplement their diet with fruits and leaves, but it is a very small percentage of the diet. In the wild, a large chameleon would even eat small birds and other lizards. It’s easy to see why people find chameleons fascinating and want to keep them as pets. A word of caution, though. Chameleons are very difficult to maintain and inexperienced reptile owners should not start with this reptile. Having said that, they are also not the most difficult exotic pet to take care of. Chameleons don’t cuddle. If you’re looking for a cuddly pet or one that likes to be held, then look elsewhere. 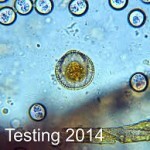 Wild reptiles are more than likely to be infected with parasites. Buy a chameleon from a respected breeder if you do insist on getting one. Avoid the big chain stores. While selecting the pet chameleon, it is important to determine the health of the animal. The chameleon should be active and look healthy, with bright coloration. Panther Chameleons, Veiled Chameleons, and Jackson’s Chameleons are the most widespread species that kept as pets. Chameleons are solitary animals and they shouldn’t be kept with other pets. It is a very bad idea to keep two male chameleons together as they will fight and injure each other. They should be put in a cage with a lot of foliage to climb and to provide privacy. In a nutshell, chameleons make good pets, but please don’t be in a rush to get one before you thoroughly research their care requirements. They come with a price, meaning their initial equipment is pricey, and their ongoing care can be as well. They need housing, lighting, heating, specific water needs, food, vet visits. Talk to experienced reptile owners before you decide. Already have a chameleon? Want to tell us about it, or any other pet you might have? Let me know, and I’ll publish it here. Go to my Contact Me page and get in touch. 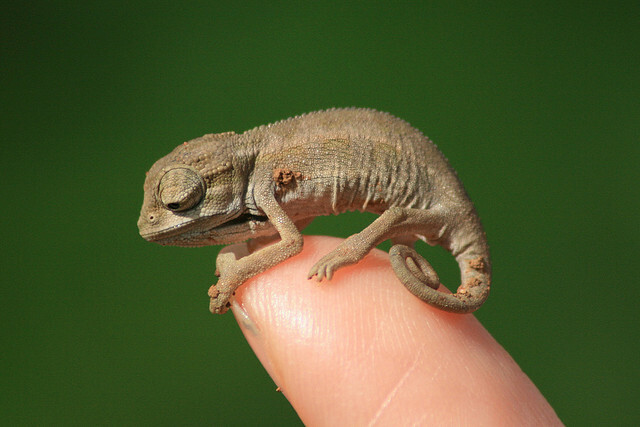 IMAGE: Naddel, Flickr / Newborn Chameleon, possibly a few minutes old. Panther Chameleon. Panther Chameleon Owners Guide. 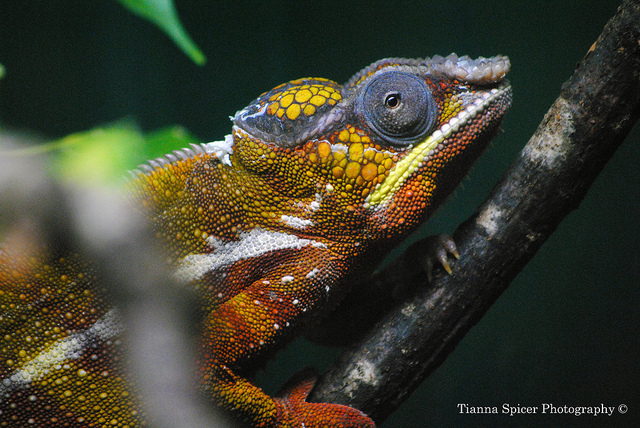 The Captive Care of Panther Chameleons, Including Biology, Behavior and Ecology. 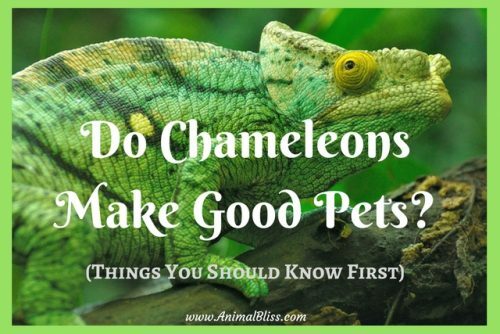 Do you have a Chameleon or other lizard as a pet? BioBubble Chameleon Cantina, Green by BioBubble Pets, inc.
Hello, and thanks for being here to give your insights into keeping, and keeping animals thriving. I will be checking your site for additional information. You have been very helpful so far. I have been an animal keeper, mostly dogs, but I’ll try most anything. By the way, I am 84 y/o, so I am in my twilight years. I have been around animals all my life, goats, chickens, horses, mules, snakes (boa) dogs, most anything I could get in my car to bring home for my 3 kids to be exposed to, and learn about. I even brought home “Matilda,” a sheep in my car so they could learn about sheep. I have been reading, and talking, with most anyone who will spend a little time talking about my new “pet,” I say pet, but are they really? I think I enjoy watching this little creature more than I thought I would. I have spent endless hours reading and learning about this little creature. Wish me luck in my new hobby. Dewitt, thank you for such a nice comment. I love it that you enjoy animals so much. So do I, of course. Congratulation of getting a Veiled Chameleon. I think that’s quite a step to take. I love watching chameleons to no end. Too bad they’re not more active during the day, but we’ll let them be themselves, won’t we? I have a Bearded Dragon. Her name is Shirley and she is 5 years old. I love her to no end and have her with me whenever I can, even taking her along with me on certain errands. People love to stop me and ask about her, and I love to educate them at the same time. I’m glad you stopped by Animal Bliss for a visit. I hope you’ll come back again sometime. Peace. Thanks so much for the article. Do you have any suggested links to further my research? Or have you considered writing an article about their specific needs? Thanks again! I sort of “fell in love” with a little green chameleon at the local PetSmart. He/she came up to the glass and seemed to be interested in me, too. Yes, I know, this is no reason to “adopt” one for myself. 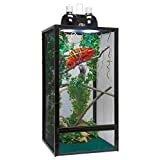 I’m concerned, however, that these poor creatures at the “chain pet stores” will end up being bought by someone who has not taken the time to investigate what owning a reptile entails and even worse, as a gift for a child, who might neglect the little creature. That’s one reason why I question the advice not to buy one from a chain. Those little guys need a good home, too. Thank you for providing all this information for perspective chameleon owners. Some of the animals you see in pet stores are bought from reputable breeders. However, a great many of them come from questionable animal “farms” and are kept in deplorable conditions – thus selling you animals that are possibly diseased from the beginning. The more people buy from animals from chain stores, the more business we give to the disreputable breeders. The trend around the country now is to outlaw chain stores from selling animals at all. Several states already have this in place. But the most important reason is that of the number of abused, neglected, and abandoned animals that are brought to animal shelters so desperately need loving homes. A lot of these animals are ones that were bought at stores. Do you see the dilemma? Anyway, thank you so much for taking the time to visit Animal Bliss and to respond to my post. Take care. While the Chameleons would make a very interesting pet, I do no think that they would be a good choice for someone to get as their first pet. They need to have a perfect habitat with the exact temp and humidity otherwise they can get ill very quickly. If you are looking to become a first time reptile owner, I would go with either the Leopard Gecko or the Bearded Dragon. Whichever you decide on though, I would recommend that you do your research on them like you have done with the chameleon so that you are fully prepared to care for it. 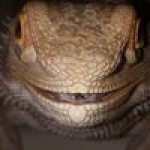 What exactly makes it difficult for new reptile owners to have a chameleon as pet, compared to other reptiles? Can they be held safely hold on the hand? Do they enjoy to be petted? Can they tell apart the owner from strangers? Thank u for tha love u all give teaching and time to help tha next person to help thier animal of insect. I have a veiled I noticed the last time I was in his cage he was squirting clear liquid out of his eyes. I can’t find any about this. Have you seen this behavior before? Dan, I don’t know why your veiled chameleon would be squirting clear liquid out of his eyes. Have you spoken to a vet? You might also want to search for a chameleon group on Facebook. They’re very helpful and have lots of people willing to offer help and advice. Good luck. Let us know what you find out! Take care. I’m an inexperienced person, actually I’ve never kept a reptile in my house! I’d like to get one, where do I learn to maintain it? There are many books about how to take care of a reptile, Kareem. Start with your local bookstore or library. Make sure you do all the research first, before committing to getting a reptile though. Good luck. Thanks for the info about chameleons. I thought they principally change their coloration to become invisible to prey insects or predator snakes and birds? In spite of their amazing coloration, I find chameleons repulsive. How do I get to like them? I’m curious, do you find all reptiles repulsive, Leo? I’m really obsessed with making my own custom enclosures and cages for my pet chameleons. I love the idea of making their habitat and designing where they are going to live haha. Great article by the way. Thanks for your visit, Jessica. I’d love to have a chameleon some day. Or an iguana. Who knows. There are so many cool animals out there. I have a Bearded Dragon named Shirley and I love her so. All the best! What? Yes, I have a Bearded Dragon. Chameleons are fantastic creatures, but quite prone to stress in my experience. That said, some species seem to settle down much faster than others. Here in the UK, the veiled chameleon is one of the most popular – and hardy – species seen for sale in the pet trade. Hey, thanks for stopping by, Kelly. I’m glad you came by. I’m going to have to swing over to your site now and read what you have to say about how to care for Giant African Land Snails. Wow, how intriguing. 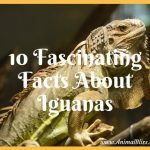 I’ve never heard of those, and I’m always, always looking to learn more about our fellow animals. I’ll see you over there! 🙂 Thanks! 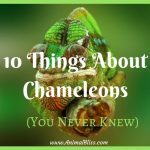 Really very interesting reading about the chameleon! I never knew they changed colors as a way of communication. Thanks!